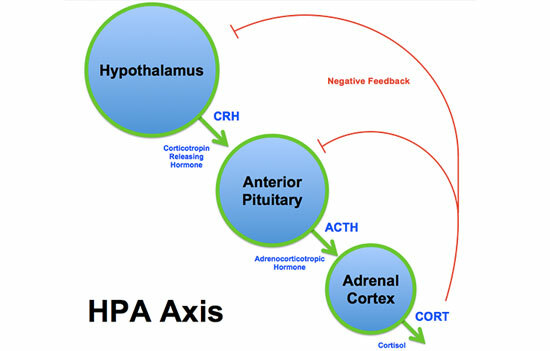 Your HPA Axis is a dynamic relationship between three glands in your endocrine system: your hypothalamus, your pituitary gland, and your adrenal glands. 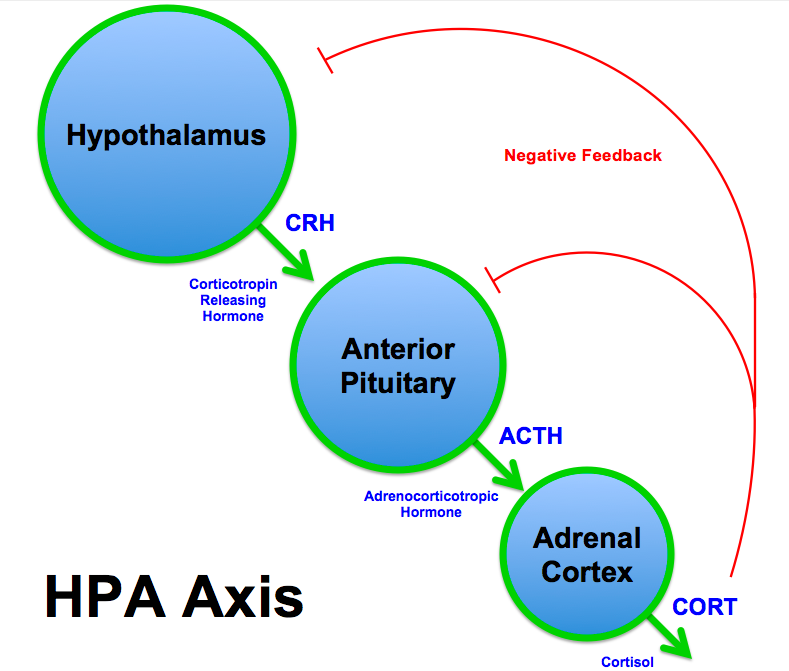 Knowing how your HPA Axis functions is important to understanding adrenal fatigue. When you react to a stressor (physical, chemical or emotional), your hypothalamus releases a hormone called corticotropin-releasing hormone (CRF), which sends a message to your pituitary gland to stimulate the production of adrenocorticotropic hormone (ACTH). ACTH then stimulates your adrenals to make cortisol and adrenaline, which prepare your body for action. The cortisol released by your adrenal glands gives your hypothalamus a signal to stop or slow down the release of CRF. This is called a negative feedback loop, where the gland that is stimulating the action is switched off by the presence of the hormone that it was asking your body to produce. As you age and when you are ill, your hypothalamus and pituitary glands are less sensitive to the negative feedback of cortisol. Therefore, your adrenals can become over stimulated even when your stress is mild. What Happens When You Have Adrenal Fatigue? Your hypothalamus sends signals to your pituitary gland and your pituitary stimulates your adrenal glands. When the message reaches your adrenals, very little cortisol is released because they’re so depleted. Unfortunately, often there isn’t enough cortisol to send a message to switch off your hypothalamus, causing your HPA Axis to remain in a state of constant stimulation. Over time, this leads to adrenal fatigue and depletion. Cortisol helps stimulate the production of your thyroid hormones. If your adrenals are fatigued, your thyroid gland won’t get the signal it needs to produce the hormones at the rate that your body needs. Alternately, if your adrenals are over producing cortisol, your thyroid hormone T4 will convert to an inactive hormone called Reverse T3 (RT3). 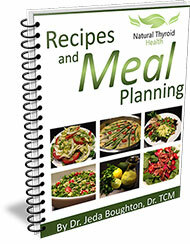 In either case, you are likely to become hypothyroid, at least in the short term. Your HPA Axis is an important system for the health of your thyroid, so if you’re adrenals are over or under producing your thyroid will be affected. The goal to keep this system healthy, is to work on stress management, a healthful diet and lifestyle routine. There are many treatment options to help support your endocrine system. If you think your adrenals may be over stimulated consult with a natural health care professional.